There are many routes around the beautiful surroundings of Tacugama offering hikers a range of day trails and paths to explore, peaks to summit and views to relish. 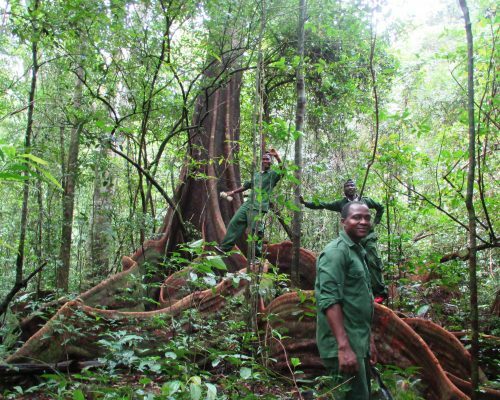 Jungle hikes must be guided by our experienced forest rangers. 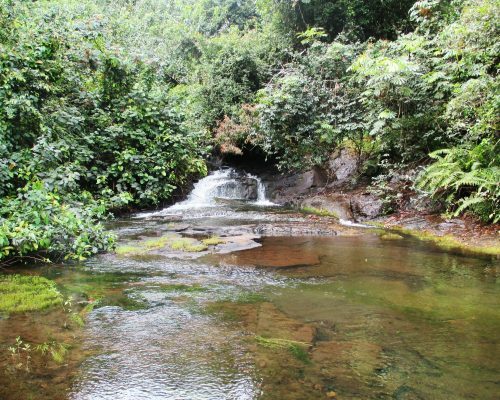 The trails vary from 30 minutes to 3 hours and lead visitors through local Krio villages and past some breathtaking views, waterfalls and dams. 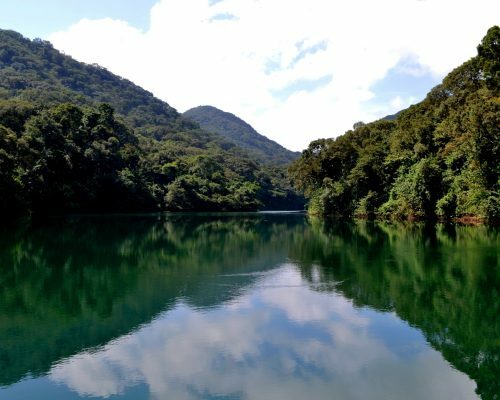 The park has a very high biodiversity and a large number of species of both plant and animal life – including birds, butterflies, duikers, monkeys and if you’re lucky, wild chimps! 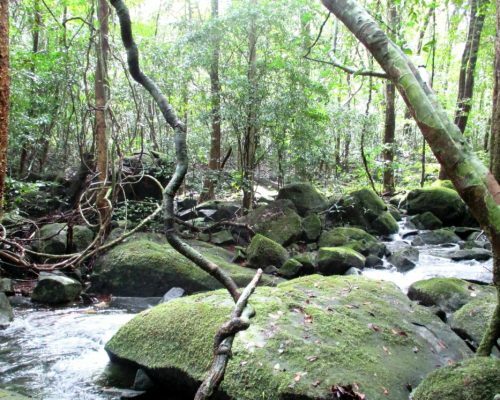 This is a 3.5km hike that takes you through the local forest around the Congo Dam water catchment area and the waterfalls along the river. Our longest hike at 4.5km, this path goes due south away from Freetown into the heart of the forest. A difficult hike with lots of elevation changes, it will surely keep you on your toes! 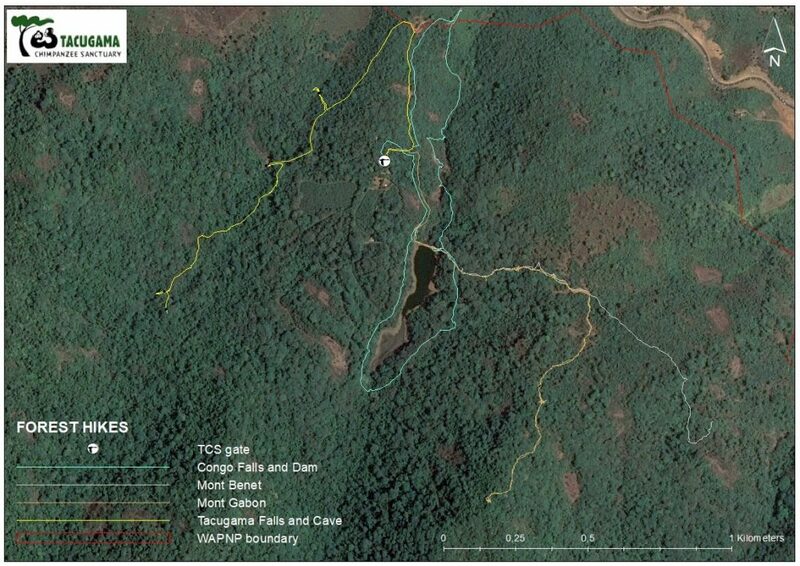 This hike is 1.7 km and follows the Mount Gabon trail south for the first half until it separates. A short hike through beautiful swaths of forest. Hike up to the source of Tacugama’s watershed through one of the few areas of old growth forest left in the region. Discover ancient caves with remnants of pottery, and a chance to see wildlife such as monkeys, wild chimps, duiker, rare birds and more. This hike is 2.5km.